To exemplify the limits of the Israel lobby’s power, Bard reminds us that President Eisenhower declared his intent to approach the Middle East “as though we didn’t have a Jew in America.” Ike acted on that pledge in forcing Israel to cough up the entire spoils of its 1956 Sinai campaign. So attuned was the president to the sensibilities of the Arab world, he went so far as to emasculate America’s principal global allies, Britain and France, who were Israel’s partners in that war. Bard then takes us through some of the legislative debates over U.S. arms sales to Saudi Arabia and other Arab states. To America, these kingdoms were allies; to Israel, potential enemies. AIPAC, the vaunted Israel lobby, mobilized to block the deals in Congress, and was consistently beaten by American presidents. To conserve its own credibility AIPAC stopped trying. And today we have President Obama who has made a point of showing a friendly face or proffering an open hand to every Middle Eastern country – except one. The arms-sales history illuminates in particular one argument of the critics of American support for Israel. These critics make much of the divergence of American and Israeli interests. Of course the two do diverge. But how often and how much? Regarding arms sales to Riyadh, the divergence was clear, and as a result the Israel lobby lost. Might not the main reason for the lobby’s triumphs on other issues be that most U.S. officials and opinion-leaders do not perceive as much distance between America’s interests and Israel’s as Israel’s critics do? For example, Bard details the efforts of Arab states and U.S. oil companies to persuade President Nixon not to aid Israel during the 1973 Yom Kippur War. Nixon, we have learned from White House tapes, was a crude anti-Semite and no great friend of Israel’s, but he brushed aside the oil lobby and dispatched the weapons with which Israel snatched victory from the jaws of defeat. He did this neither out of sentimentality nor from Jewish pressure but from a cold assessment of the damage that an Israeli defeat would cause to America’s strategic position. 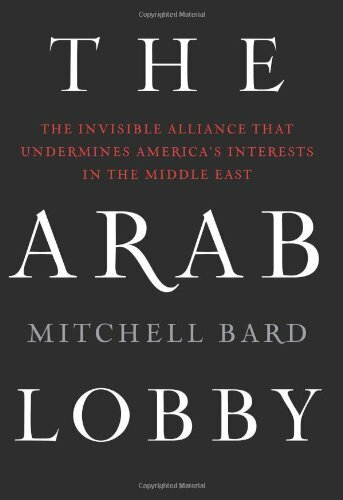 As Bard explains, the Arab lobby is composed very differently from the Israel lobby. While the latter is made up entirely of Americans, the former stems largely from the Arab states, especially Saudi Arabia. It is made up of hired advocates and also Americans-oil industry officials, former diplomats specializing in the region-whose careers are bound up with the Arab states. Its weakest component is Arab Americans. Bard recites numerous examples of the activities of U.S. oil companies and American NGOs supported by Middle Eastern donations to present to the American public the Arab side of the argument. In the past decade, he says, Saudi Arabia alone spent $100 million on American lobbyists and PR firms, although only a fraction of this was addressed to the Arab/Israel issue. The rest aimed to burnish the kingdom’s image among Americans (after 9/11). Support for the Arabs did reach its all-time high (28 percent) and sympathy for Israel its low (32 percent) in June 1982 after disclosure of the massacre of Palestinian refugees by Christian Phalangists at Sabra and Shatila, but six months later, public attitudes returned to more traditional levels, with only 12 percent sympathizing with the Arabs compared to 49 percent for Israel. I have my quibbles with Bard. He seems to believe that the industrial world’s dependence on oil reflects a failure of will that has been engineered at least in part by the Arab lobby. These are assertions that he should not toss off without a strenuous attempt at proof, seeing that the simpler explanation for this dependency is that no one has yet figured out another economic way to power the machinery that is woven into our lives. He also, in my view, underestimates the force of leftist ideology as a source of animus to Israel. In discussing the demonization of Israel by American church groups he dwells on traditional Christian anti-Semitism but seems relatively unaware that beginning in the 1960s such umbrellas as the National Council of Churches and World Council of Churches, as well as many of the denominations that they comprise, became knee-jerk advocates for almost every Communist and revolutionary movement they could find. Likewise, Bard ties the radical and anti-Israel posture of Middle East studies in America to hefty Saudi subventions, but the field of Latin American studies is similarly dominated by radicals, without any such financial weight behind them. On a larger point, one may wonder if the influence of the Arab lobby is as black as Bard paints it. (It has “consistently acted to undermine U.S. values… and security interests,” he says, which is too blanket a statement, in my view.) Yet on the whole, Bard’s answer to Mearsheimer and Walt is effective. There is more than one lobby in Washington. Yes, the Israel lobby is more effective than the Arab lobby. But the essential reason has nothing to do with the lobbies, themselves. Americans overwhelmingly support Israel. As long as that is true, their government will, too. Joshua Muravchik is a Fellow at the Foreign Policy Institute of the Johns Hopkins University School of Advanced International Studies.